No more waiting for a call back. You shouldn’t have to wait on the phone to get IT support. No more SLAs, you get direct and immediate connection to our IT Help Desk. GadellNet provides your Indianapolis and St. Louis small businesses with IT support and IT solutions. We provide small businesses and schools with IT support and IT solutions. 24/7 help desk support, on-site support, cyber security, and consulting through flexible custom bundles. Our contracts have no long-term commitment requirements, so you can confidently join the over 300 organizations that have selected GadellNet as their IT support provider. Our client retention rate is 99.2% over the last 10 years, so contact us today and trust us to keep you safe, productive and forward thinking.  Proud to be a 6-Time Inc. 5000 fastest growing company and a 4-time “Best Places to Work” as an IT solutions company. Our Rapid Resolution Team provides immediate help, no more waiting for a response! While your organization is fast at work, GadellNet's team is available for on-demand support while also proactively monitoring your systems and networks. With a combination of applications and processes, our team will install, maintain and monitor an early warning system for intrusions and data breaches. GadellNet will design, build and then maintain the ideal network infrastructure using the right technology from the best suppliers available on the market. Whatever your key business goals are for 2018 and beyond, GadellNet provides consulting services to achieve those goals through workflow management, process improvement, 3-year budgeting, IT audits, and more. Managed Service Benefits: Should You Outsource IT? Power BI vs Tableau: Which is Right for Your Business? At GadellNet, we know that nothing is more frustrating than spending hours in limbo when your system is down. In fact, that’s one of the reasons we started our 24/7 live outsourced help desk. No more waiting hoping someone calls you back quickly. With gurucare Help Desk, having a real person troubleshooting your issue is seconds away.